Photo by Drew Coffman, couresy of Flickr Creative Commons license. Sorry for the absences, dear blog readers– I have some good news and bad news. The bad (but not really that bad) news: I have been inundated with historical research, some in English, much in Chinese, and a little in Japanese. It’s been a bit overwhelming. As a result, blogging has taken a backseat to working, and to living– Taipei’s winter was surprisingly cold (without central heat) and surprisingly grim (without much sunshine). However, the good news is this: the project has grown considerably, there are MANY ANSWERS to my many questions about the Liao family and the evolution of Taiwan’s controversial past. Also, for me, most importantly, I’ve been WRITING. Click here to see Willy Wonka (aka Gene Wilder) sing about "Pure Imagination." The trouble with all of this, is the danger that all of you writers out there understand and share, when the work is plentiful and the inspiration flows like some kind of wonka-land chocolate river. HOW TO STOP IT FROM STOPPING? And now I come to the point of this post. Trying to write when you’re in the zone (and for me, WRITING the major component of my project), and doing anything else at the same time, is a bit like trying to pat your head and rub your belly, standing on one leg. Completely drunk. Maybe in the rain. Or with a bird pecking at one shoulder. For me, my intensive writing phases are quite intense, and resemble a particular kind of madness. When I was working on my MFA Thesis at Emerson (and on my undergrad thesis at Stanford for that matter), I felt like I was living a double life for the last 3 months or so. Write, and Pretend to Do Everything Else While Thinking About What I’ll be Writing Tomorrow. Keeping up the inspiration, managing to keep sitting down and focusing, doling out a little madness per day in order to create the work– requires both organization and light schizophrenia. It is Calculated Madness. And as I am now living in a state of Calculated Madness, maybe with a dash of Spring Fever, since the weather in Taipei is suddenly beautiful, and fleeting (since the crushing heat and humidity is on the way). So I am taking this month of April and counting myself incredibly lucky. I am incredibly lucky to be here, to be continuing to find useful research, to meet and work with amazing people who have helped me so much, to have friends (and guardian angels, maybe even guardian ghosts?) watching over me, both in Taipei and back at home (and across the pond). Most of all, I’m grateful to be able to write. Now I’d better get some sleep, because tomorrow’s writing is rattling around in my brain, trying to get out by any means necessary. 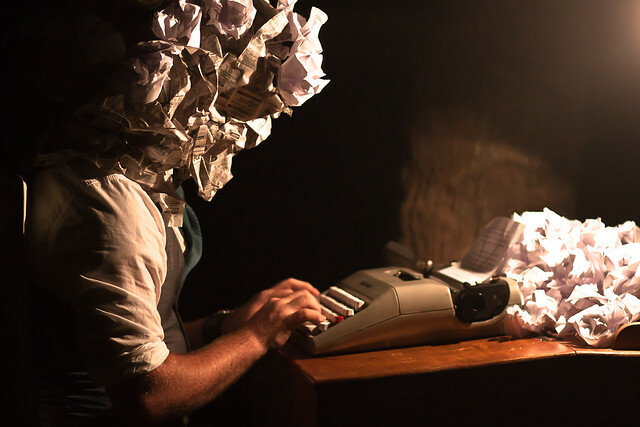 Dear fellow writers: How do YOU deal with calculated madness? With inspiration? With writing blocks? Frustration? With splitting time and attention when the studio is summoning you back at every turn? When your friends and family are ready to disown you for your negligence? Please share your insights and words of wisdom!